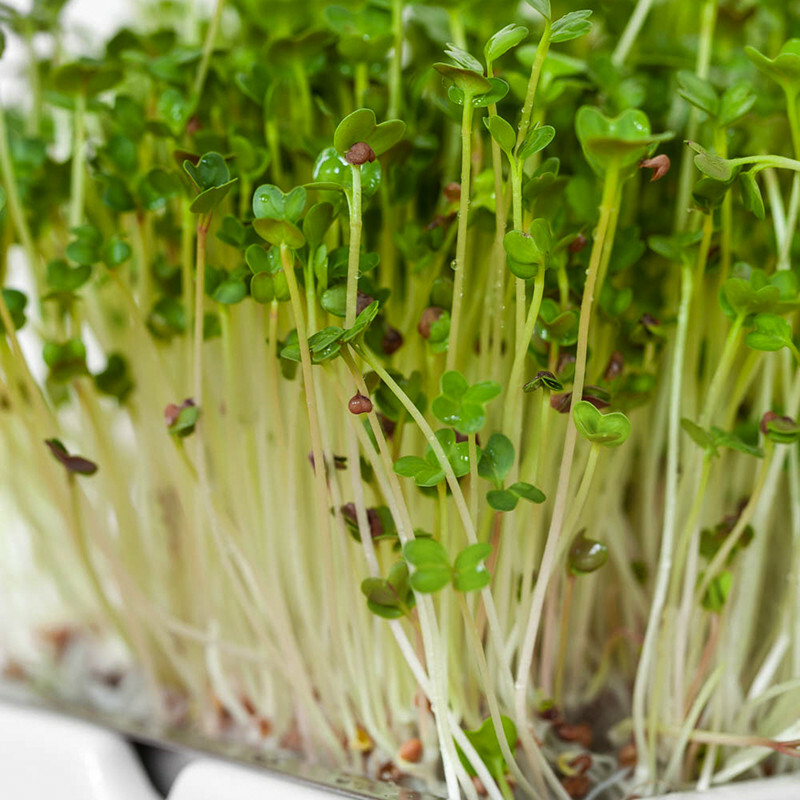 Our radish microgreens have a hot, intense flavour and are rich in vitamins and minerals. 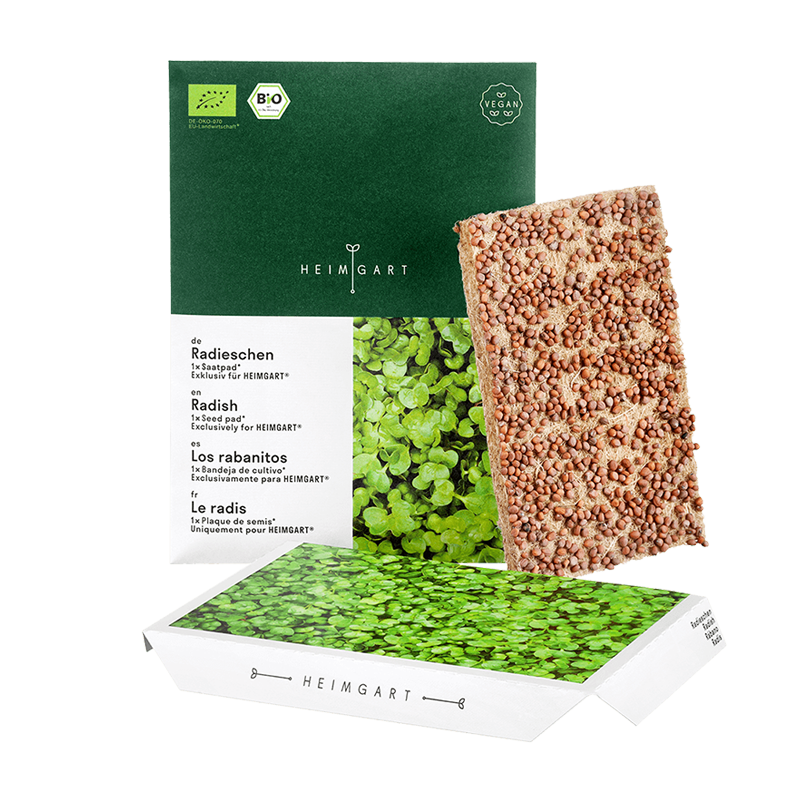 You get 6 radish seed pads for radish microgreens. With them you can completely fill up the Heimgart sprouting bowl three times. 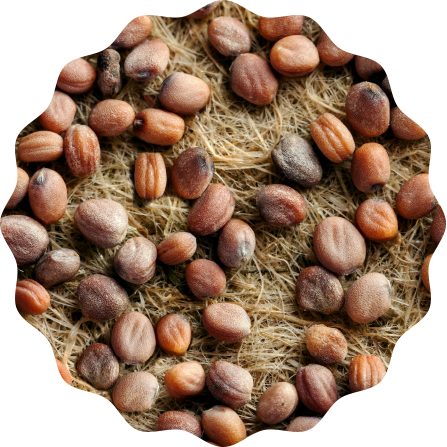 The crop yield of our radish seed pads amounts to an average of 40 grams per pad. That means one full sprouting bowl filled with 2 pads has an average yield of 80 grams. Previous studies have shown that radish microgreens present a higher content of minerals and lower nitrate content than fully-grown radish plants. Always store the radish seed pads in a cool, dry place. Direct sunlight should be avoided. The seed pads can be composted or disposed of in the organic waste bin.